Two recent articles in the Hindu Business Line focus on India’s urgent need to shorten the time for undersea cable repairs in order to limit financial and production losses across the country. According to these reports, the Telecommunications Ministry has proposed to slash submarine cable repair time to three to five days, which would approach best-in-class performance. Currently, undersea cable repair processes can take over two months for Indian territorial waters, contributing to very slow restoration of Internet services and degraded performance. The EastWest Institute has been advocating a major effort to improve the reliability and security of the cables based on the 12 recommendations made in a joint IEEE-EWI Report, The Reliability of Global Undersea Communications Cable Infrastructure (ROGUCCI) Report. 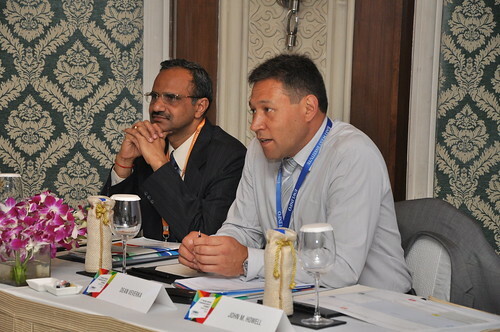 EWI continues to champion many of these recommendations and conducts outreach seminars with senior government and industry leaders in India, as well as across the globe. Karl Rauscher, EWI’s chief technology officer and author of the ROGUCCI Report, observed: “News of this progress in India is very encouraging. Reducing the duration of service-impacting events affecting international connectivity is one of two top priorities for improving the stability of the Internet at a global level.” The other priority is avoiding geographic chokepoints, which is addressed by a separate ROGUCCI recommendation. A second article on January 1, 2013 highlighted India’s slower cable-repair times as compared to the rest of the world, mainly due to procedural hassles. The latest example is that of the Vessel CS Asean Explorer, an undersea repair cable ship, which has been forced to move out of Indian waters due to restrictions by customs authorities. In May 2012, India’s Institute for Defense Studies and Analyses (IDSA) published India's Critical Role in the Resilience of the Global Undersea Communications Cable Infrastructure, an analysis of security interests and best practices that provides a roadmap for countries to enhance their international connectivity.